Oatcakes can be a little boring on their own so they’re usually best eaten with some sort of topping. 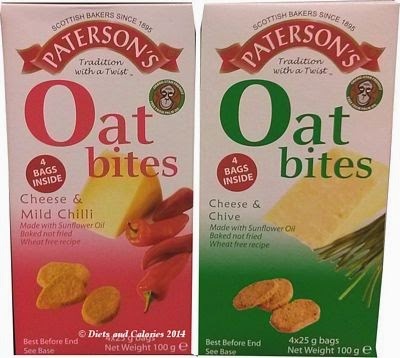 However, Patterson’s Oat Bites are already flavoured with either Cheese & Chive or Cheese & Mild Chilli. 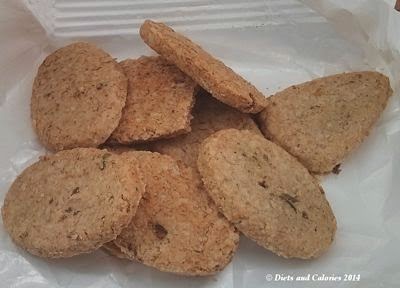 These mini oat bites have just 13 calories each. 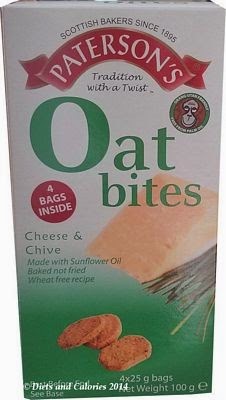 Oat Bites are sold in a 100g box with four x 25g bags inside. Each bag contains 9 mini oat bites, making 117 calories in total. These are a bit like some of the mini oat cakes I’ve found in my Graze box snacks, but without the dip. They have quite a strong cheese flavour and there are lots of speckled bit of chives scattered throughout. They are very tasty and I could happily eat these dry without any toppings. 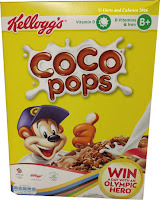 They make a nice change from other packet snacks and because they’re made from oats, they are chewy and filling. 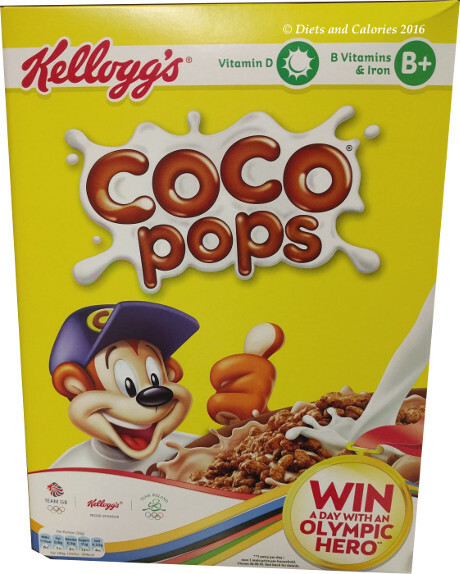 Ingredients: Oatmeal, cheese powder (9.9%) (milk), sunflower oil (8.5%), salt, chives. Other Information: Suitable for vegetarians. May contain traces of nuts. 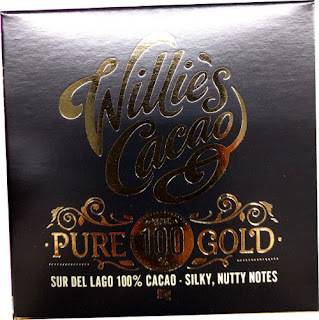 Free from pork fats and alcohol.